Infrared S1: So slim. So smart. This is how small big can be. You can slow down, relax and savour a deep sense of well-being even in the smallest of spaces. That is why we developed the KLAFS S1. This innovation is a perfect fit for our modern life, because it becomes really small at the touch of a button – like a zoom lens on a camera. In its retracted state, the Infrared S1 is only 45 cm deep, but when it is extended, it offers plenty of space for relaxing bathing fun. Which is the best model for you? The Infrared S1 by KLAFS is always just as big or as small as you want it to be. It is available in two models, the Infrared S1 SINGLE with one seat and 122 cm wide and the Infrared S1 DOUBLE with room for two persons and 172 cm wide. It can be easily connected to any household outlet connect and operates on alternating current (230 V). Any intervention in the electrical wiring before installation is not necessary. FEELING WELL – IT'S ALL ABOUT THE SETTING. Adjust the setting, lean back, relax. You can choose between three stages: Soft, Medium or Intensive. As soon as you lean back, the program will start. 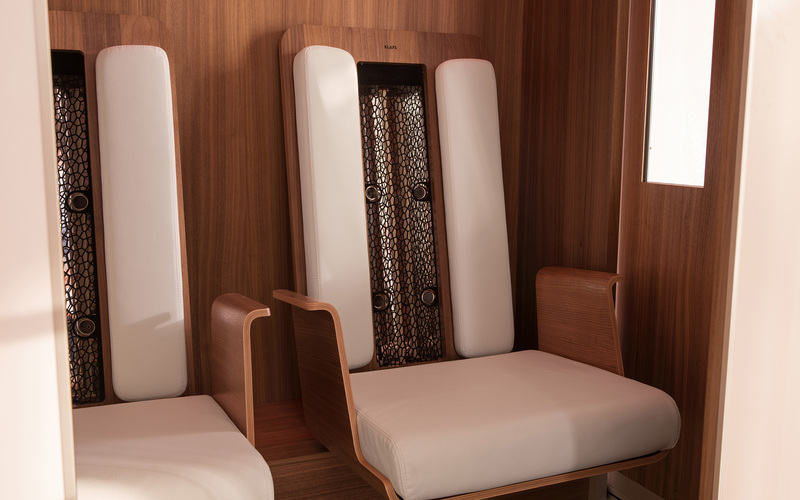 In order for the infrared source to fully deploy its beneficial effect and your skin is not unduly stressed, four SensoCare sensors in the infrared heater carry out contact-free skin temperature readings during the entire program and adjust the intensity of the radiation to your body – very gently and completely automatically. Thanks to the comfort heating under the seats, the cabin interior is always quickly heated to a comfortable temperature between 27 °C and 35 °C. From the first moment on, your Infrared S1 will be pleasantly warm. The patented low-temperature ceramics radiator uses the heating power of infrared-C radiation and is of such a high quality that we give you a lifetime warranty on this product. It also confidently meets the guidelines of the RAL-Gütegemeinschaft (Quality Assurance Association) for infrared heating cabins. 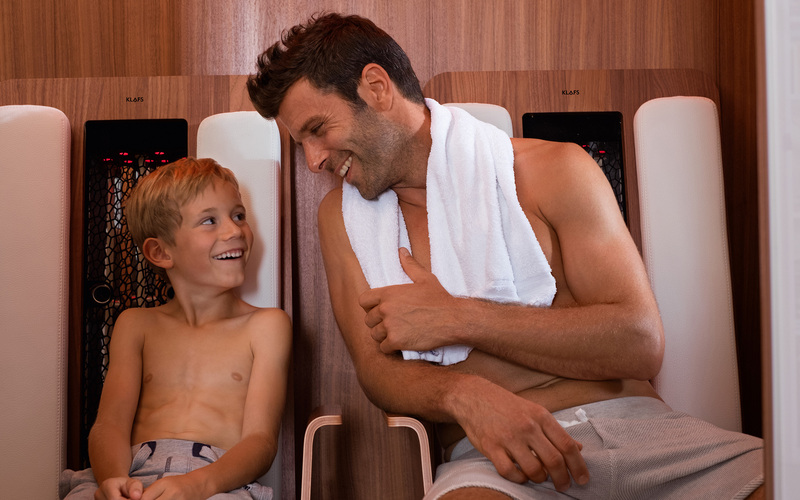 During the entire program, four SensoCare sensors in the infrared heater carry out contact-free skin temperature readings so that the infrared source can fully deploy its beneficial effect and avoid undue stress for your skin This how they adjust the heating intensity to your body – very gently and completely automatically. FOR US, WELLNESS ALWAYS BEGINS WITH A TOUCH. 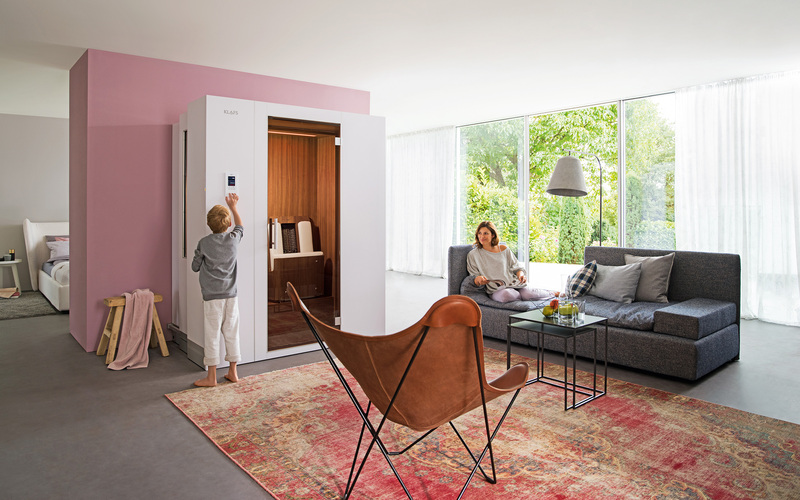 Controls by KLAFS stand for maximum comfort and meets the highest standards for safety and a long service life. Of course this also applies for the IR 033 control with intuitive touch display. 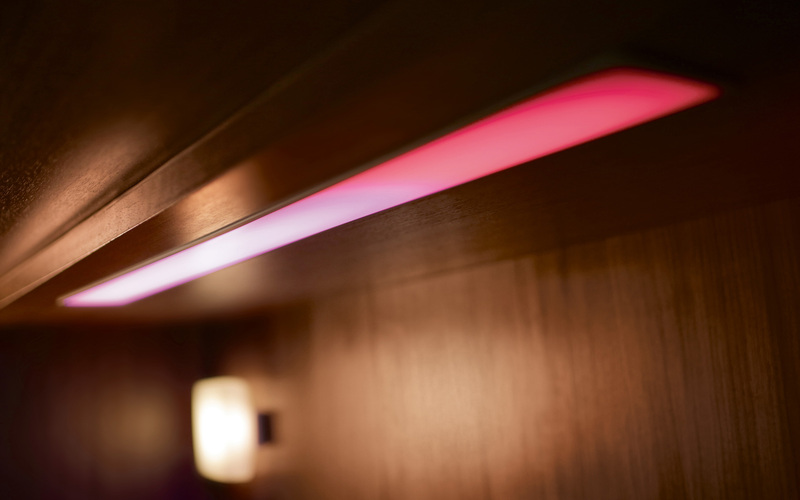 It is silent thanks to intelligent Triac technology, and all settings such as temperature, time and the BELLASENSA colour light can be controlled comfortably and individually. You will not be distracted or disturbed by switching noises while you're trying to relax. TAKE A SEAT AND ENJOY THE HEAT. The seat occupies a central position in the interior, because it will put you into an optimal position to ensure that the back heater can operate with focused intensity. The seat and backrest are padded and lined with durable textile leather, optionally available in white or chocolate colour. Comfortable armrests complete the seat and intensity the relaxation process. 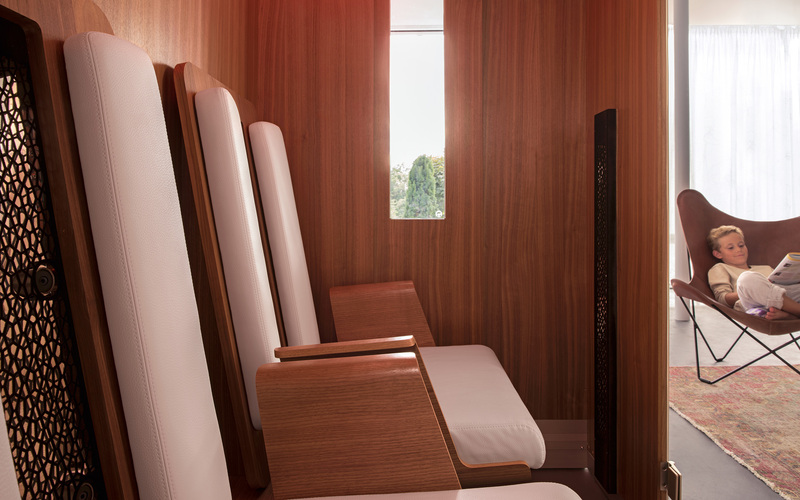 By default, the interior walls and seats of your Infrared S1 are lined with naturally grown, knot-free and thus particularly suitable hemlock veneering. On request, you can also receive the interior panelling in fragrant arolla pine veneering (also known as Swiss stone pine) or elegant walnut veneering. The combination of heat and the interplay of colours has a relaxing effect on the bather. Because of this, every Infrared S1 has been equipped with the BELLASENSA LED coloured light by default. The rotating holding bracket for a tablet or smartphone is optionally available. 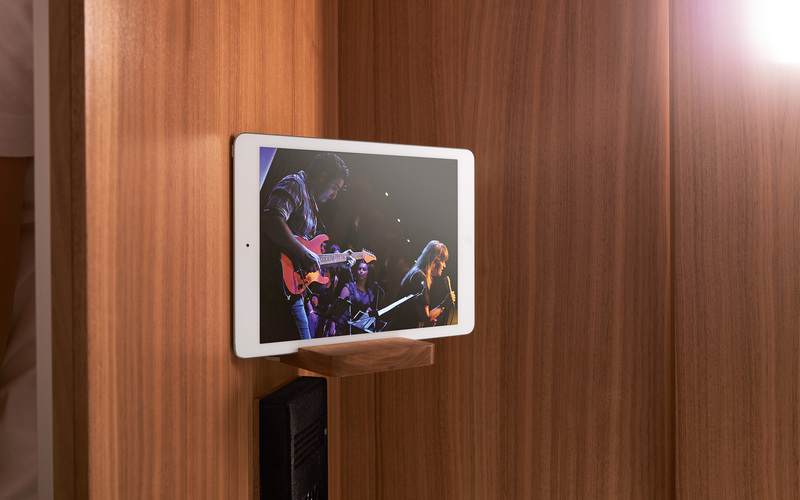 The optional RelaxAudio system stands for excellent audio quality. Its loudspeaker membrane, integrated into the rear wall, provides palpably good acoustics in the Infrared S1. Revolutionary zoom function of the Infrared S1 with minimum space requirements of no more than 45 cm in the completely retracted state. Two variations – one well thought-out concept: The SINGLE version for one person or the DOUBLE version for two persons. Infrared-C radiation heat the back area with particular intensity. We offer a lifetime warranty on the patented low-temperature ceramic heater. Targeted heating with automatically regulated intensity thanks to SensoCare sensors. Simple control with intuitive touch display. Many options for exterior panelling, interior panelling and seat covers. 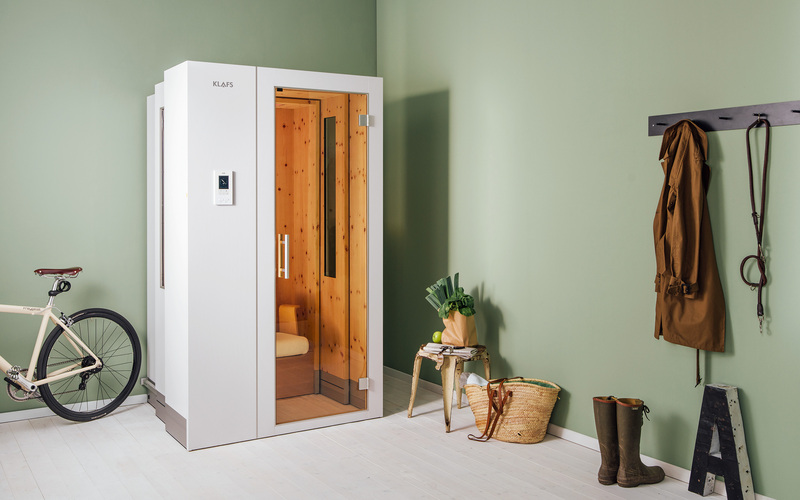 The revolutionary, space-saving S1 sauna by KLAFS is off to a roaring start: To date, the sauna of the future has already won seven important awards, including a German Design Award, an iF DESIGN AWARD and a Red Dot Design Award. 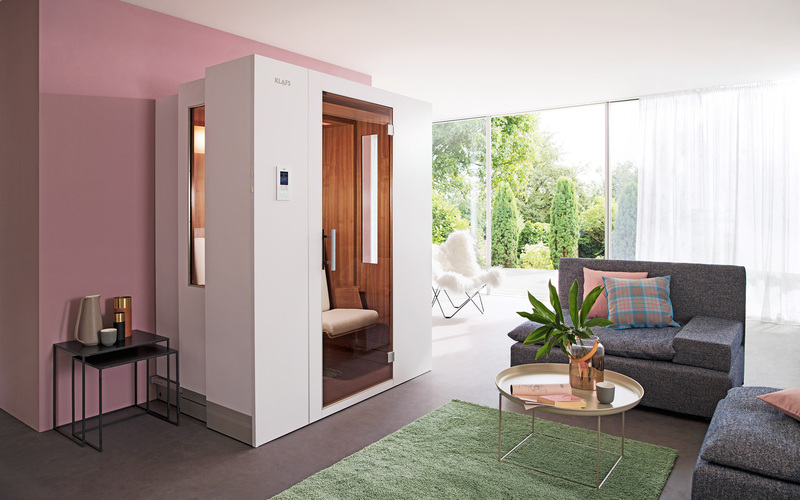 This convincing success served as confirmation for KLAFS, the market leader in the sauna, pool and spa sector, to continue on its path to immediately work on additional ideas around the subject of space-saving solutions. The first result of these efforts, the Infrared S1, is celebrating its world premiere at the Interbad Trade Fair in Stuttgart. As with the S1 sauna, the decisive key feature of the Infrared S1 once again is how little space it requires. 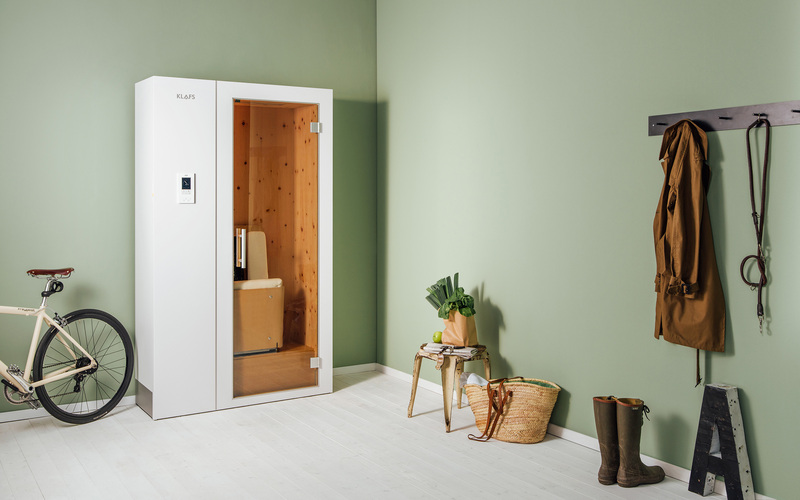 In its completely retracted state, it is only 45 cm (S1 sauna: 60 cm) deep, which makes it even slimmer than a conventional cabinet. It is still an elegant infrared cabin, with high quality in every detail, that offers plenty of space for one or two persons – depending on the model.